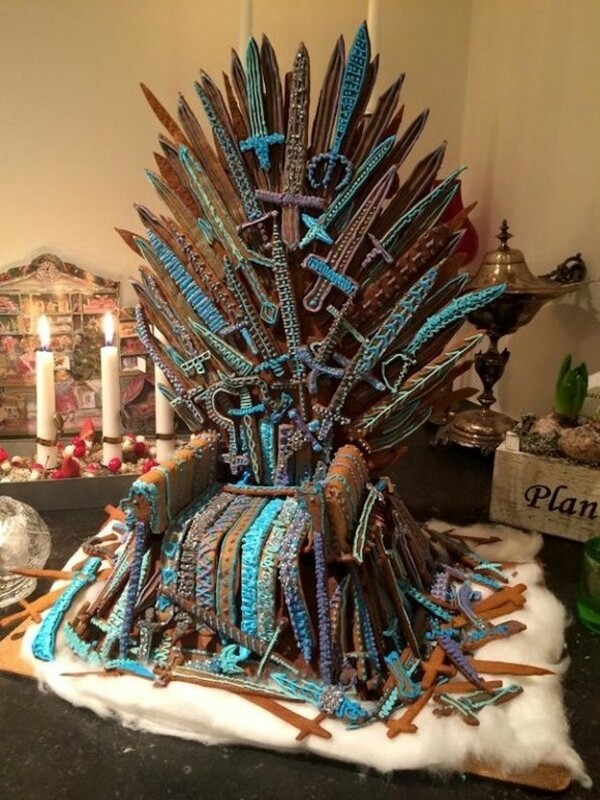 Check out this gingerbread version of the hotly-contested Iron Throne. It was built by a group of friends who promised not to fight over it and cut each others heads off doing it. Have you ever seen so many tiny gingerbread swords in your life? It just need a gingerbread king to sit on it and say ouch because as you know, that is one uncomfortable chair. Gingerbread houses can be pretty challenging to build, so this throne must have been extra hard to make. It takes a lot more skill to make a gingerbread Iron Throne. It must have taken forever just to put those swords in place and them decorate them. All of the nobles of gingerbread Westeros would be proud.